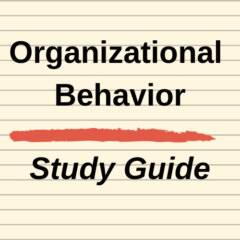 A role can be defined as the set of expected behavioral patterns for an employee occupying a certain position. Note that this definition also extends outside the workplace into other positions held in a family and general society. As you can guess by the word “role”, it seems to imply some form of acting, such as a movie star having a role in a movie. Essentially, there is some natural overlap here as people in particular roles will adopt different behavioral patterns across their roles. For example, an executive working in an office will behave differently in that role, as compared to when they are home with their family and children playing the role of a parent. It is important to understand that people will play a number of roles both inside and outside the workplace. This will mean that individuals behavior vary across their roles on an ongoing basis. For example, inside a workplace one individual could be a specialist/expert in a particular department, they could also be a manager of staff, as well as being a mentor to new staff, and they could also be somebody who represents the organization to external parties, and so on. While outside of the workplace they could have the roles of partner, parent, member of s sporting team, involved in the community or community club, and so on. While most individuals will behave in a manner appropriate to the role at the time, it is also likely that this overlap of roles is likely to influence their behavior and decisions in other situations, and even may create personal conflicts (please refer to role conflict below). Role perception refers to how we perceive that we need to act in the role that we are “playing” at the time, either in a workplace or a personal environment. For example, if you were a manager in the accounting and finance area, you might see the role of that manager as being conservative, considered, and analytical. Whereas, if you were a manager in the advertising department, then you might see the role as creative, outgoing, ideas-driven, and so on. It is also likely that the perception of the different roles – accounting versus advertising in this case – would also influence that person’s appearance, dress, degree of social interaction with others, the use of humor in the workplace, and so on – as perceived as necessary by them to play the role. The same role perception influence carries into an individual’s personal life, where they think about how a partner, or parent, or teammate, or a member of the local community or club, should be acting. While role perception is the individual’s perception of their own role, role expectations is how others perceive how the role should be played. For example, again using the accounting versus advertising manager positions above – many people would have an expectation that an accountant is quite conservative in their dress and commentary, while generally expecting the advertising manager to be more creative, energetic and outgoing. You should note that these role expectations and perceptions are strongly tied to a stereotype view of the role. In terms of role expectations, there is an unwritten “agreement” that could be considered a psychological contract in the workplace. Because it is unwritten, it is not actually a contract of any form, but an expectation on how you should behave/interact in your role and how the role (you) should be treated by management and the organization. Sometimes this information is captured in various human resources policies and conditions. Some organizations would have policies on how to interact with employees, counsel them, motivate them and so on. The important thing to note here is that role expectations and the psychological contract works on both sides – that is, it is a set of mutual expectations between management and employees. As highlighted above, individuals will play multiple roles in their life, including multiple roles in the same workplace. If there is a difference required between their values and/or decision making across their various roles, then this will lead to potentially role conflict. As an example of potential role conflict, consider an individual who has the role of partner and parent in their home life, and who is also a human resources executive. Let’s now assume that they are required to structure a policy on parental leave. In this case it is likely that their personal views on family and work life balance will influence their parental policy development to some extent. To extend this example into a more conflicted situation, assume that this human resources manager was directed by senior management to reduce or eliminate parental benefits throughout the organization as a cost-saving measure. This directive is likely to be in direct conflict with their values as a parent and their role as a professional human resources manager. Zimbardo’s Prison Experiment was an identity and role experiment conducted at Stanford University many years ago. As part of this experiment they effectively created a “prison” and hired relatively average/normal students – in terms of personality and intelligence – to play the role of either a guard or a prisoner. Obviously all the participants knew it was an experiment for psychological research purposes, and not a real prison, but they were willing to play along and act out their roles for the exercise. The “prisoners” first had to adjust to the other students (that is, those acting as guards) having full authority over them, which should have been a difficult adjustment for some independent young students. Consistent with social identity theory – where people will associate with their membership group and disassociate with people not in their group – this experiment set up an “us versus them” mentality. As a result, the students acting as guards became more aggressive and authoritative towards the “prisoners”, while prisoner students became quite passive and almost defeated. What this experiment highlights from a role perspective is that people can adapt to new roles relatively quickly. For instance, this exercise/experiment only ran for six days yet in that time these independent thinking students became totally engrossed and committed to their new roles. They took on the behavior of the roles based on their role perception and role expectations, as highlighted above,. This means that they fell into a stereotype perception of how they should behave in a particular situation and role.